Great tasting seafood and more seasoning! Add great taste to your next crab, shrimp or crawfish boil. 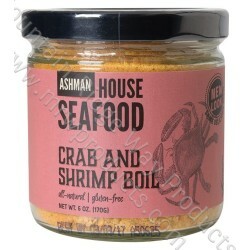 Can be used for sauteing seafood or poultry or use in a batter to bread your seafood or poultry. An all around excellent seafood seasoning. 6 oz. Jar. Gluten Free.